While the American musical was at the peak of its popularity, the publishing industry took notice and would publish libretti, especially Random House. Released in hardcover editions, the books presented the entire text of the musical play (spoken and sung) with simplified stage directions to help maintain the narrative. I have a few of these – and in some cases (Candide, Follies), these editions are the only window original script. It didn’t seem to matter whether the show was a mammoth or minor success, and in some cases even a failure. I have copies of Gypsy, New Girl in Town and The Apple Tree and whenever I can find these vintage copies I pick them up. When I was in college I got to read Anyone Can Whistle’s hot mess of a book thanks to the published copy sitting in the stacks of our library. Many of my first experiences with a stage musical’s text came from these editions. While I was introduced viscerally through film adaptations, I was curious enough to venture to my library to find the book form. The first libretti I read were The Music Man and The Sound of Music and as someone who was unaware of how a show was adapted (and in some cases bowdlerized and bastardized – I’m looking at you Freed Unit), I was surprised to see how different the shows were in their original stage incarnations. Having not seen some of the productions myself, these texts filled in the gaps between songs on many an original cast album. As the musical fell out of vogue, it seems that the major publishers lost interest. Where Random House has lost interest (major publishers tend to take on smash musicals in lavish and expensive special coffee table editions), Applause Theatre and Cinema Books and Theatre Communications Group have taken up the effort. Between the two of them, many contemporary musicals have been published in text form. (Dramatist’s Play Service and Samuel French also publish libretti, but those are more detailed copies specifically designated for actors). Recently Applause released three new editions. Classic Rodgers and Hammerstein shows Oklahoma! 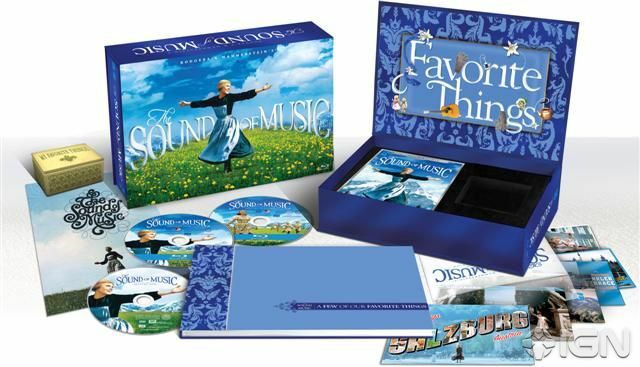 and The Sound of Music have rarely been out of print, but receive new trade paperback editions as part of the Applause Libretto Library Series. There are new introductions from R&H’s Ted Chapin, who comments that the text is taken verbatim from the original Random House editions. While Oklahoma! 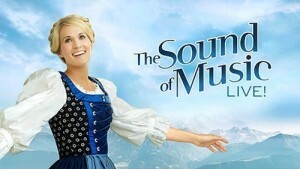 will continue to be performed as it was originally written, it is not the same for The Sound of Music, as all subsequent revivals have been influenced by the immensely popular film adaptation and incorporating those changes. 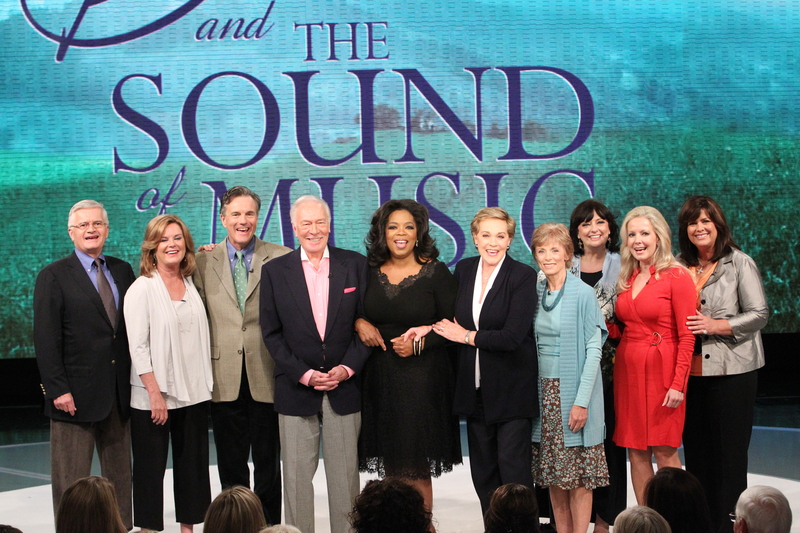 Rereading The Sound of Music, there is one way in which the stage show intrigues me – there is no rivalry between Maria and Elsa. In the stage show, Elsa (not a baroness, but a shrewd, stylish CEO) has far more interesting dimensions and for one thing actually likes Maria. The break-up has more to do with the differences between her and the Captain over the impending Nazi takeover. 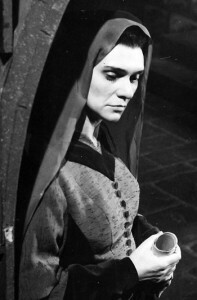 Both editions contain photos from their various productions, revivals and film adaptations. The Libretto series continues with two more contemporary entries: The Last Five Years and Memphis. I can tell you, it makes this musical theatre nerd a happy camper. Sometimes the show behind the show is as fascinating as the one onstage. Many people don’t really know how much work goes into one single Broadway performance – or the amount of people employed by each particular show, particularly behind the scenes. 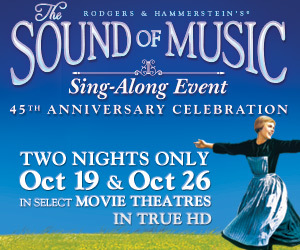 Jamie DeRoy and Rick McKay made this documentary in 1999, one year into The Sound of Music revival’s run at the Martin Beck Theater. Gaining considerable access, the cameras were allowed into the dressing rooms, the wings, the lobby and in and around the various areas of the performance space. DeRoy talks to actors, stagehands, the wardrobe supervisor, the sound team and even the child wrangler giving one a truly inside look at the goings on of show folk. The production stage manager talks about how the job of the backstage team is to make the audience unaware that there is anyone except the actors in the vicinity of the stage. One of the more interesting elements is seeing departing star Rebecca Luker talk about her upcoming departure from the show, while simultaneously meeting her fresh-faced nineteen year old understudy Laura Benanti (in her Broadway debut) talk about the thrill of replacing the veteran star in the role of Maria. Before the nationwide telecast of the Tony Awards, the awards used to be held in a hotel ballroom in the midtown area. Before Alexander Cohen turned it into the event it became, it was a simple affair and there were no performances. 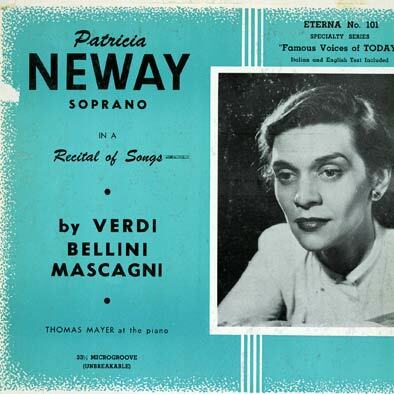 The ceremony was telecast locally in NY, and here is a quick sample of 1959’s winner for Best Featured Actress in a Musical, Patricia Neway, accepting for the original production of The Sound of Music, in which she played the Mother Abbess.